Puzzle games live or die by their progression within the game and the puzzles themselves. If there is no satisfaction or great eureka moments from solving a difficult puzzle in the game you're playing, then chances are, you'll probably be too bored to even continue. Even if the puzzles are somewhat mediocre at best, if there no interesting hook or plot thread to keep prodding you along, then why even bother attempting to solve the puzzles in the first place? 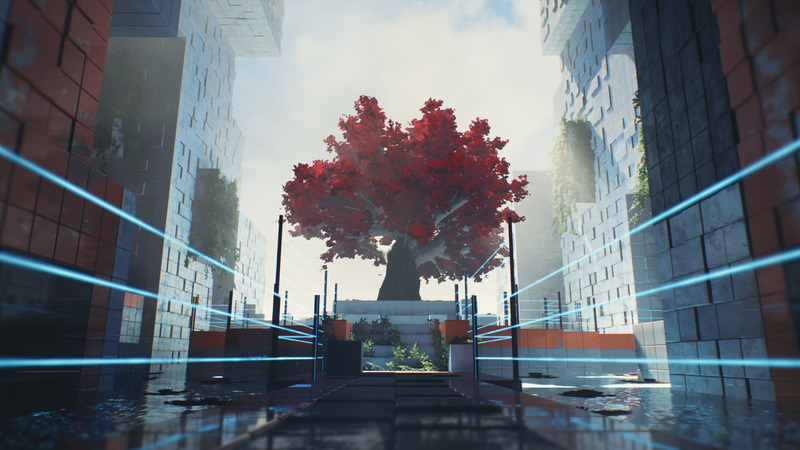 Some games, such as The Witness for example, can survive on their puzzle design, mechanics, and beautiful aesthetic alone. 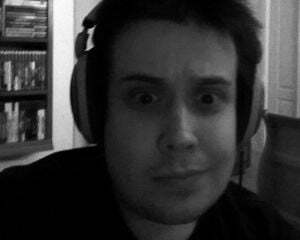 Others, such as the Portal series for example, can maintain interest or curiosity from solid writing and a great sense of humor. Basically, mediocrity within the puzzle genre is death -- making it a pretty difficult genre to get right. Thankfully, mediocrity isn't something that applies to Q.U.B.E. 2. Q.U.B.E. 2 in pretty much every aspect is a massive step ahead from its predecessor, a predecessor that I would definitely drop into the category of mediocrity. If it wasn't for the original game's plot hook of being trapped on an alien vessel on a crash course for Earth, I probably would have never even completed it. Ironically, only the Director's Cut version of Q.U.B.E. had any actual plot, so I could never see myself wanting to play the original build of that game. However, what Toxic Games have pulled off with the sequel is nothing short of impressive. Everything from the gorgeous aesthetic and lonely atmosphere, to the sound design and voice acting, to the puzzles themselves -- all of it is a step forward. This time around you play as Amelia Cross, an archaeologist, who is seemingly stranded in what appears to be an alien landscape. After waking up inside a cube-patterned structure, you're aided by Commander Emma Sutcliffe, who guides you along over a communication system, all while seemingly being purposely vague and sketchy. Not everything is as it appears though, without spoiling anything, let's just say there is a certain extraterrestrial element throughout the story that kept me interested. As interesting as the dialogue and those elements were though, the constant plot objectives of solving puzzles to reach a switch and power things up felt repetitious, far sooner, rather than later. Almost the entire game outside of the puzzle solving can be summed up as Amelia powering up various machines for plot reasons. The puzzle mechanics, however, are a beautiful blend of the simplistic and complex and where Q.U.B.E. 2 shapes up to be great. 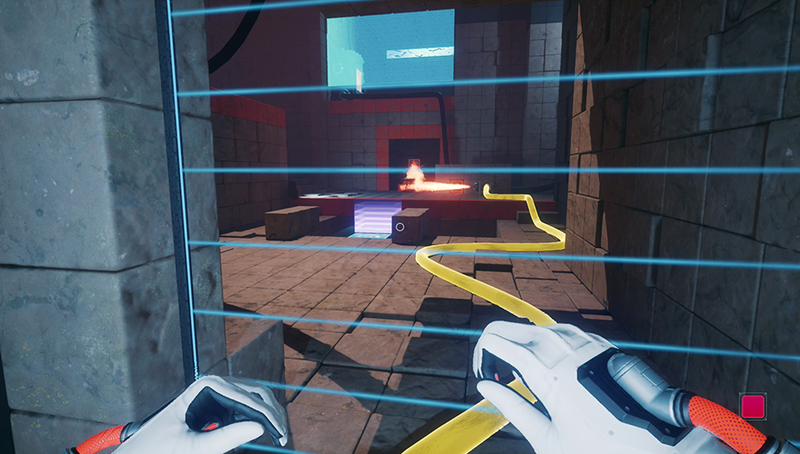 The mechanics starts off simple enough, you're given access to three different cube abilities, each represented by a specific color, that can be placed on white panels within the environment. The blue cubes allow you to create jump pads that you can then jump on or bounce other objects off of. 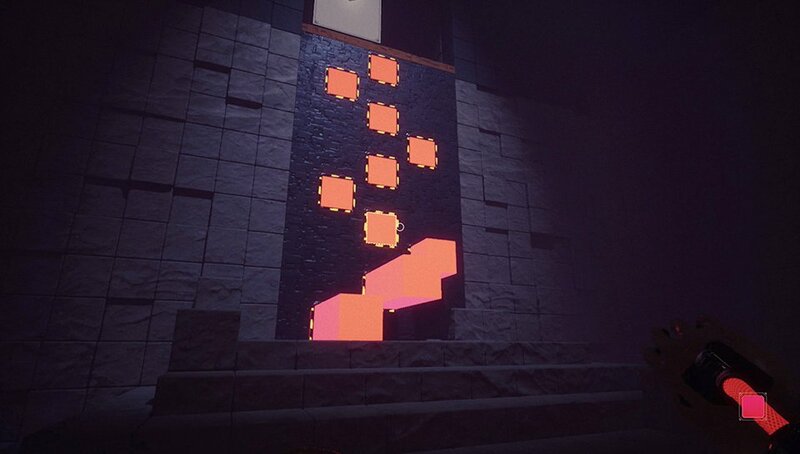 While the orange cubes create panels that you can then extend out, allowing you to reach ledges that might be too high, or potentially hold other objects such as the final ability in the form of green cubes. 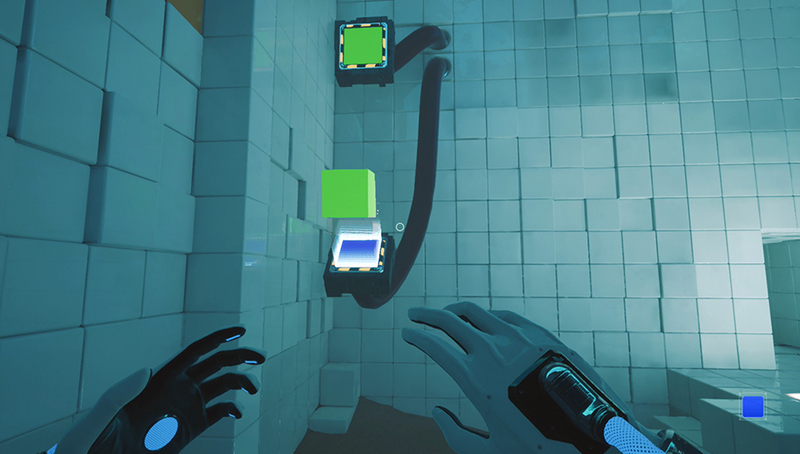 These green cubes, once placed on a panel, allow you to then spawn a cube that can be used in a number of ways with the two previous mentioned cubes. When combined, these simplistic abilities become the basic rule and mechanics for solving almost every puzzle in the game. 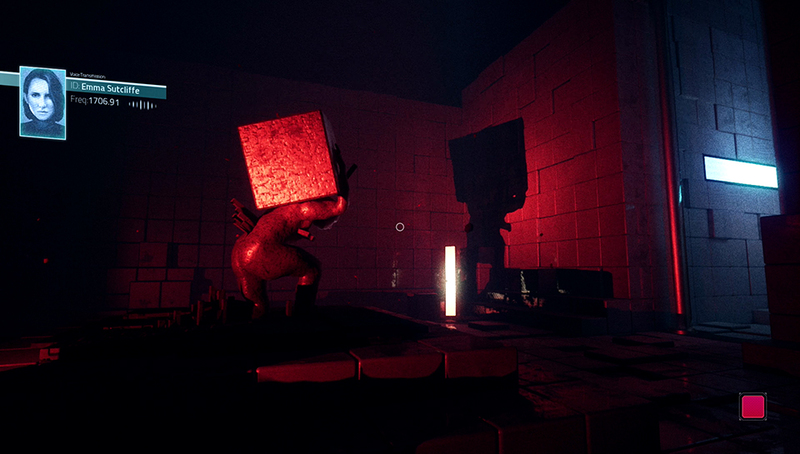 The complexity is introduced when the game begins to throw in various environmental objects that act as new puzzle mechanics. Things such as large fans, pressure sensitiveness switches, metal balls, oil, flames, and timed elements – it's here where the puzzle mechanics of Q.U.B.E. 2 truly shine. If I have any criticism, it's that the game is constantly introducing these new mechanics, which also means it's constantly teaching you new rules to solve these puzzles, leaving the puzzles themselves up until the last few chapters to be somewhat easy and never threw much challenge my way. Across roughly five or so hours with the game, I was never once truly stumped for more than a few minutes. Instead, it more or less then teaches you the rules of how this new power-up works within the environmental objects and mechanics that they've already introduced. Personally, I think this ability was pretty self-explanatory and they should have thrown in some harder puzzles your way that take better advantage of it -- especially considering the game comes to an end not too long after this. Some easier puzzles aside, it's still as satisfying as ever to conquer the larger puzzle rooms and Q.U.B.E. 2 is still a puzzle game I can easily recommend, as much of my nitpicking doesn't detract too much from the overall package. A package which includes a gorgeous aesthetic and lonely atmosphere with a haunting soundtrack and overall sound design to match. Throw all this in with enough alien weirdness, science fiction elements, some unique puzzle concepts, and it still kept my attention to the very end.